1. Mix the APF, semolina, rice flour, sugar and salt well. 2. Then, add the boiled cold milk to make a batter like dosa batter consistency. If necessary, add water little by little . Keep it aside for 10-15 mins. 3. Heat the ghee in a pan, add grated coconut and powdered jaggery. Mix and mash them well. Cook till it becomes little moist consistency. Then add cardamom powder and khoya. Mix them well and switch off the heat. 4. Now heat the tawa and pour a laddle full of batter into a thick circular shape. 5. Pour few drops of oil/ghee along the sides of it. Turn over once it reaches light golden color. 6. Now put the filling in lengthwise in its centre. Then, fold the both sides overlapping each other. 7. Remove from the tawa and serve it hot. 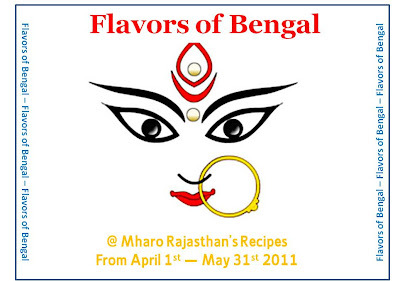 I am sending this to Priya & Aipi’s Bookmarked Recipes, and also to Priya’s Flavors of Bengal event. Never tried it before. They look inviting. Patishapta is a typical beangali preparation and my favorite too.. It came out just perfect.. This looks perfectly done...loved it in Nandini's blog and you have recreated it beautifully. New to me.Looks so inviting. I have this bengali sweet pancake in my blog too. It tastes heaven !!! your's looking inviting. New to me.. looks so inviting.. 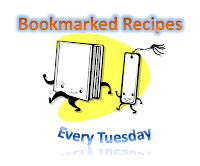 Sounds new to me... Nice recipe...YUM! sweet dosass...yumm! as a kid we used have them every weekend!....Love them with chutney...sweet and spicy! yummy!!!! its new to me...sounds delicious.. I just saw this on another blog! that is a delicious dish with a yummy filling! What a beautiful dish! It really looks delicious...I'd love to try it! Nice pancake, we make similar version. Very new recipe, looks tempting &inviting, really love the recipe.. It is very new to me. Very innovative recipe. Patishapta looks delicious and tasty! Never tried before..But your narration makes me to droll here!! Classic and delicious recipe.. looks absolutely perfect ! !